One of the globally recognized and leading healthcare research organizations’ of the country, IIHMR Universitys’ School of Pharmaceutical Management is inviting applications for a two year full time course- MBA Pharmaceutical Management . The course has a total in take of 60 students. The course is designed to develop trained professionals with requisite skills in planning and operating management techniques; diagnosing and solving management problems; and acquiring consultancy skills, with a view to preparing them to work with pharmaceutical industries. 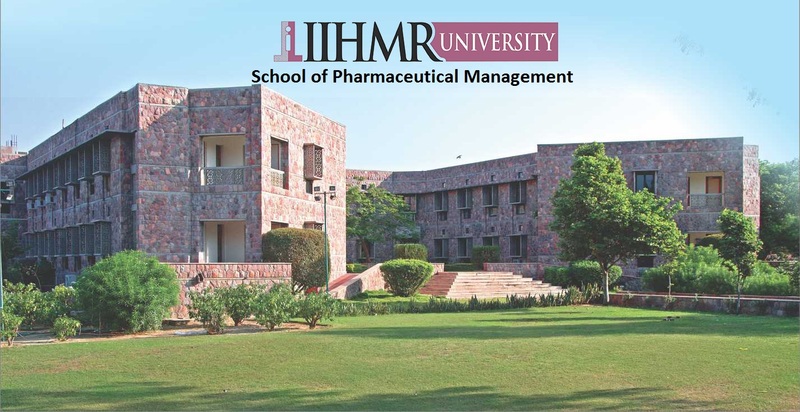 MBA Pharmaceutical Management is a flagship course of IIHMR University. This program aims at preparing professionals for a challenging career in pharmaceutical management for public and private sectors and in Pharmaceutical Organization and other related sectors. The objective of the program is to understand the concepts and techniques of modern management and their application in Pharmaceutical management, develop skills in diagnosing and solving operational problems in the delivery of pharmaceutical services. To develop skills of analyzing, diagnosing, develop skills to learn the application of qualitative and quantitative analytical tools as they are applicable in the pharmaceutical industry. To help understand and appreciate methodologies of pharmaceutical management training and develop skils with focus on strategic responsibility for training and human resources development of the pharmaceutical industy and to enlarge the outlook of the participants about the larger background and context of pharmaceutical management. Companies visiting the campus for the last 10 years are: Thumbay Group of Hospitals, Ajman (UAE), ZS Associates Gurgaon, Accenture , IMS Healthcare, Bangalore, Novartis HyderabadmMSD,ABBOTT etc.. Students completing the program are offered a pay package of Rs.6 to Rs. 11.58 p.a Students with a Bachelor’s degree with minimum 3 years duration and 50% aggregate marks (Pharmacy/ Science/Biotechnology / Management/ Medicine), valid MAT/CAT/CMAT/ATMA/XAT/GPAT/IIHMR PHARMA MAT score or any other national level management aptitude tests, students awaiting final year results for the year 2016/ candidates appearing final year examination of Bachelor’s degree can apply for this program. Candidates with 2 years relevant work experience are exempted from above scores . The candidates willing to apply can download the form from www.iihmr.edu.in or can also apply online. The completed form needs to be sent to the University’s address by latest 30 June, 2016, Last date of submission of application forms is July 4th, 2016, followed by Group discussion and interview between 14th - 15th April, 2016, 9th - 10th June, 2016 and 7th - 8th July, 2016. IIHMR University boasts of an unmatched list of faculty members that train students to become expert professionals in Hospital, Health and pharmacetical Management. Spread across 14 acres with the best infrastructure facilities, the IIHMR University also offers hostel facility within the campus with sports and recreation facilities for its students.